For use with the 4-Cycle Honda-Powered Mantis Tiller/Cultivator (25cc engine; current model). Includes: 2 bottles of premium 4 cycle engine oil (2.6 oz. ea. 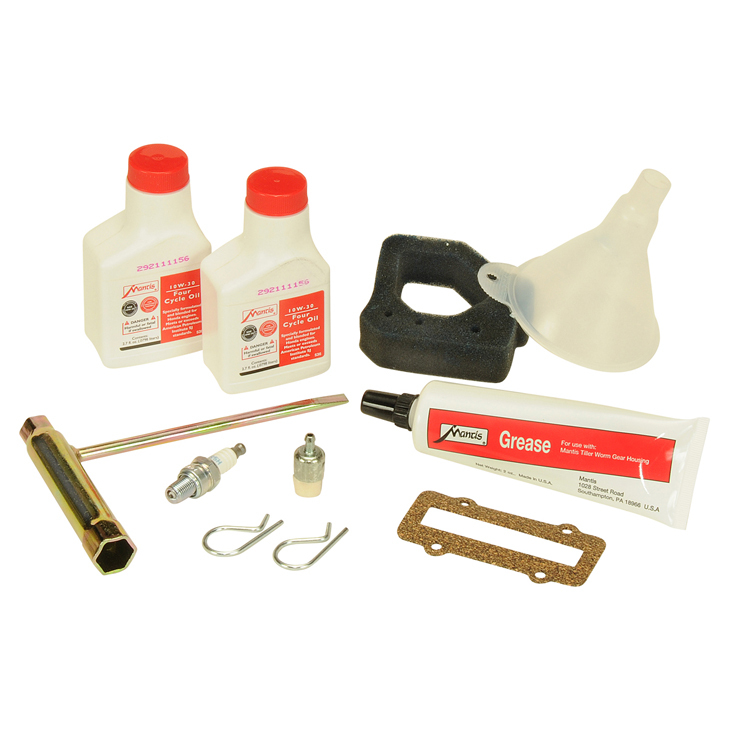 ), 1 funnel, 1 spark plug, 1 air filter pad, 1 2oz. tube of transmission grease, 1 transmission gasket, 1 fuel filter, 2 tine retaining pins, and combo wrench.